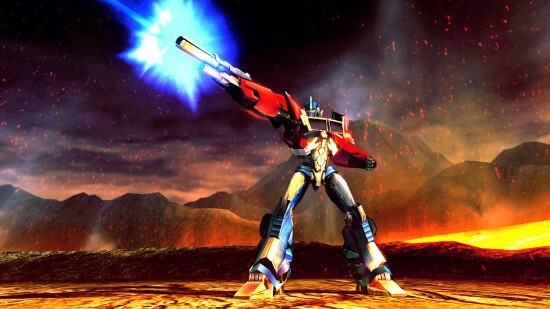 In the interview trailer below, Cullen talks about the character of Optimus and the differences in recording for the cartoon, the movie and the game. It is very notable that Cullen heavily praises the game’s story and it seems that he feels a lot more investment in the character through Transformers: Fall of Cybertron than he did with the movie. From the look of things in this trailer, it appears there will be a head on confrontation between Optimus and Megatron. Also, it looks like Bumblebee is back in action despite the previous Metroplex trailer should Bumblebee being out of commission and being carried on to a transport ship. Strangely absent from the trailer though are the Dinobots and the Combaticons. This may be one of those instances where the less we see of them in advance of the game being released, the more awesome their presence will be once we get to play.